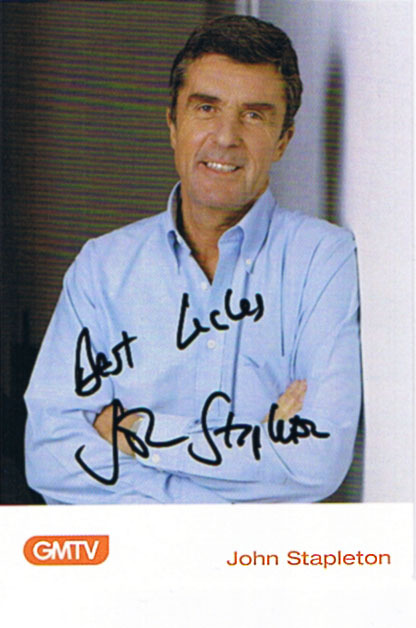 On Saturday 14th August 2010, I requested John Stapleton's autograph via the email address shown on the official website. Just four days later, on Tuesday, the autograph was received. The autograph was HAND-SIGNED.